The Flying Scotsman arrived in Grosmont this evening. 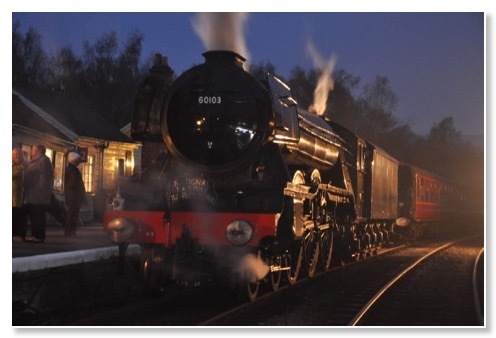 It's steaming between Pickering and Grosmont over the next nine days (March 12th - 20th). We are expecting to be very busy; all the seats on the trains have already been sold and lots more people will come to watch and wave as it steams past. It is looking very spruce in its green BR livery. Emily is baking special Flying Scotsman biscuits in honour of our famous guest. 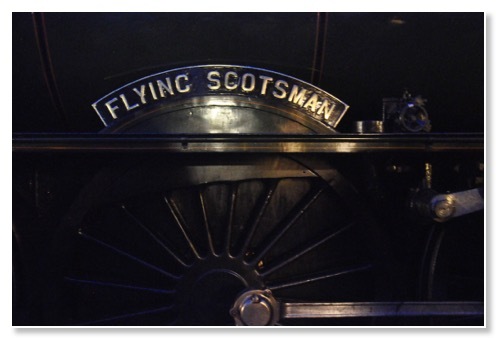 These special days with the Flying Scotsman mark the beginning of our fifth season. We will be open every day from the 24th of March for the Easter holidays.